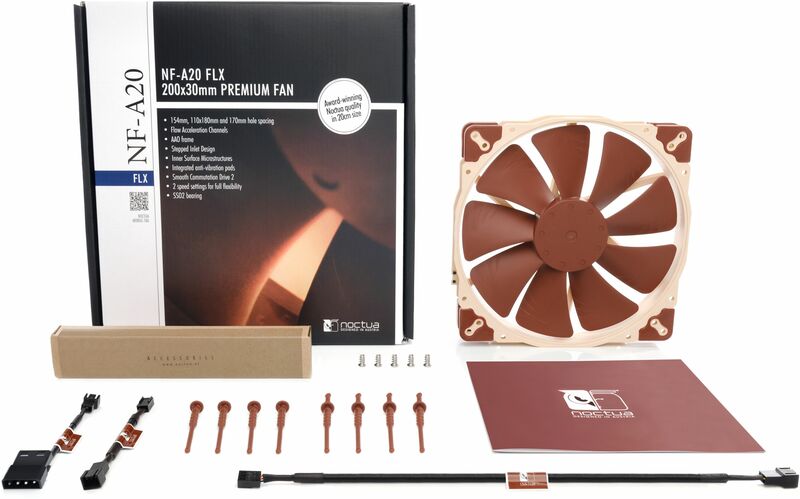 Noctua have crammed all of their expertise in to this exceptionally quiet new 200mm 3-pin fan. 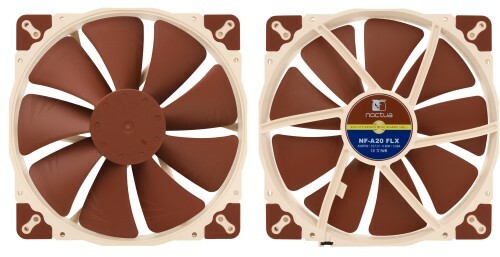 The NF-A20 is a highly optimised, premium quality quiet 200mm fan. 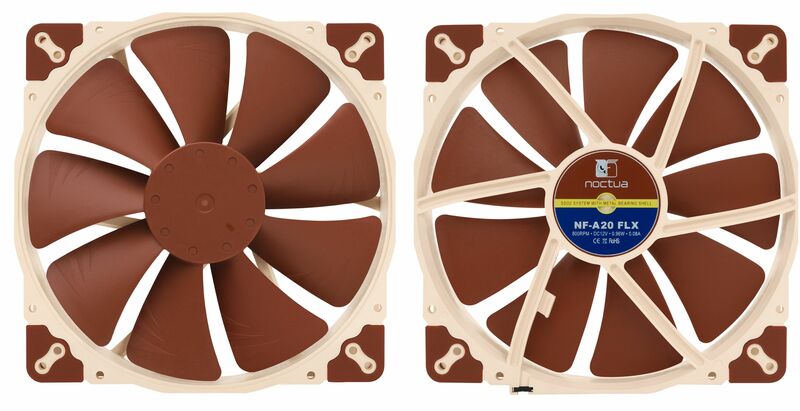 Featuring an AAO (Advanced Acoustic Optimisation) standard frame as well as sophisticated aerodynamic design measures such as Flow Acceleration Channels, the NF-A20 brings the renowned quiet cooling performance of Noctua's award-winning A-series to the increasingly popular 200mm form factor. 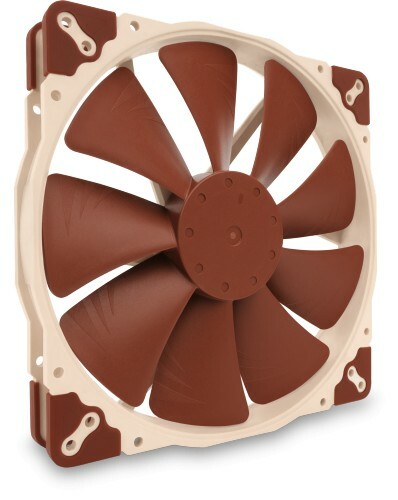 The FLX version provides 800/550rpm speed settings via the supplied Low-Noise Adaptor in order to provide full flexibility in fine-tuning the fan for maximum ventilation performance or near-silent operation. 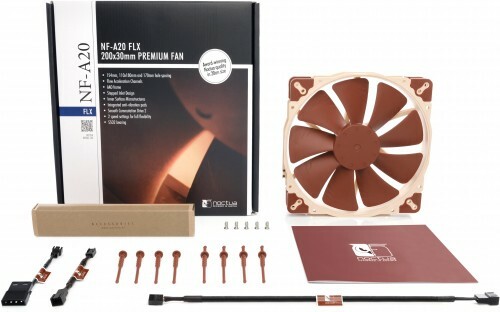 Its superb running smoothness, reference-class SSO2 bearing and Noctua's trusted premium quality make the NF-A20 an elite choice for the highest demands.